Dr. Ives’ interests lie in Plains, Subarctic, Great Basin and Northeast Asian prehistory (Palaeolithic, Jin Dynasty), archaeological theory (kinship and economic organization), Paleoindian studies, and Public Archaeology. In a large interdisciplinary project, he is currently investigating the Promontory Caves of Utah for traces of Dene ancestors who had left Subarctic Canada and were on their way to becoming the Navajo and Apaches of the American Southwest. Ives maintains the Western Canadian Fluted Point Database, is working with MA and PhD students on Besant and Sonota archaeological sites in Canada and the United States, and is conducting research at the University of Alberta’s Mattheis Ranch north of Brooks, Alberta. From 1979-2007, Ives served with the Archaeological Survey of Alberta, the Royal Alberta Museum, and the Historic Resources Management Branch, with senior management responsibilities as Alberta’s Provincial Archaeologist for 21 years, and extensive cross-ministry experience in Aboriginal policy initiatives (including leading the drafting team for Canada’s only repatriation legislation, the First Nations Sacred Ceremonial Objects Repatriation Act of Alberta). He has undertaken executive and curatorial roles in developing the World Heritage Site of Head-Smashed-In Buffalo Jump, the Royal Alberta Museum’s Gallery of Aboriginal Culture and international exhibitions (Rise of the Black Dragon). Ives is the recipient of the University of Michigan’s Distinguished Dissertation Award, three Alberta Premier’s Awards, and the University of Alberta’s Landrex Distinguished Professorship (2012-2017). He was honoured to receive the name Awoutaan from distinguished Blackfoot ceremonialists Allan Pard and Blair First Rider. 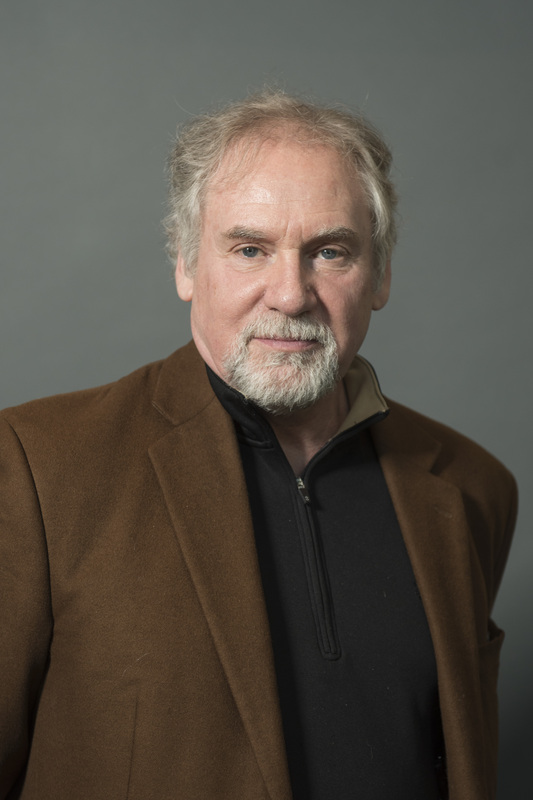 Dr. Ives' research interests are closely connected with the Institute of Prairie Archaeology, which promotes archaeological, anthropological and interdisciplinary research in the northern Plains region of western Canada and the northern United States. Its work is intended to enhance public, First Nations and rural engagement with the University of Alberta in these research areas, and particularly, to provide leadership in the training of archaeologists through field schools and other professional work, while cultivating a strong intellectual presence in the Plains region of North America. Current research at the Institute involves several programs. One SSHRC funded program investigates how Navajo and Apache ancestors left Subarctic Canada a little over 1,000 years ago, making their way to the American Southwest and southern Plains. This work focuses on the Promontory Caves of Utah, where extraordinary preservation conditions left a wealth of normally perishable material culture (including hundreds of moccasins), some of it typical of the Canadian North. Our Apachean Origins work has for more than a decade had close ties with the work of Professor Sally Rice (Linguistics) and her students, involving the Pan-Athapaskan Comparative Lexicon. Dr. Ives looks forward to continued collaborative work as a co-investigator in their recent KIAS Cluster Grant award, Documenting the Dene Diaspora: Towards a Living Digital Archive of Dene Language and Culture. The Institute works with avocational collections from all time periods, but especially from western Canada’s terminal Pleistocene and early Holocene, 9,000 to 13,000 years ago, and the biological and human implications of the deglaciating corridor that opened between eastern Beringia (Alaska and the Yukon) and interior North America at the end of the Ice Age. We also maintain interests in the prehistory of the Boreal Forest in northern Alberta, particularly with respect to the greater Oil Sands region. Another program concerns the Besant and Sonota eras on the northern Plains, extending from the Dakotas to Alberta. Between roughly 1,500 and 2,500 the northern Plains inhabitants of western Canada were in contact with Eastern Woodlands populations of the United States, sharing ideas and exotic toolstones. Finally, the Institute has offered field schools at sites ranging from the 10,000 year old Ahai Mneh site near Lake Wabamun to the tipi rings on the Mattheis Ranch in southern Alberta. The Institute of Prairie Archaeology offers the Department of Anthropology archaeological Field School (ANTHR 396 Archaeological Field Methods) every second year. We work closely with the Rangeland Research Institute, Faculty of Agriculture, Life and Environmental Sciences, providing students the opportunity to learn field survey and excavation methods in undisturbed prairie at the Mattheis Ranch (near Brooks, Alberta) and the Kinsella Ranch (near Viking, Alberta), and to work with Treaty 6 and 7 ceremonialists. In field school work on the Mattheis Ranch during 2016, we will explore the fascinating transition from the Avonlea to Old Women's Phase at the Mattheis Ranch, a time range when the Blackfoot cultural identity becomes clear in the archaeological record. May 16-June 17, Dr. Ives (with the assistance of Dr. Kisha Supernant) will be offering ANTHR 396, providing practical field training at the Mattheis and Kinsella Ranches as well as at the Brazeau Reservoir (where terminal Pleistocene artifacts are being recovered by the Archaeological Society of Alberta). In the fall term of 2016, Dr. Ives will offer ANTHR 256: Alberta Archaeology. In Winter 2017, he will be teaching ANTHR 311: North American Archaeology and ANTHR 481: Development of Anthropological Archaeology.